The Sunday newspapers have continued their campaign to unsettle Everton’s impressive start to the Premier League season by linking two of the clubs most sell-able assets with a move away from Goodison Park. 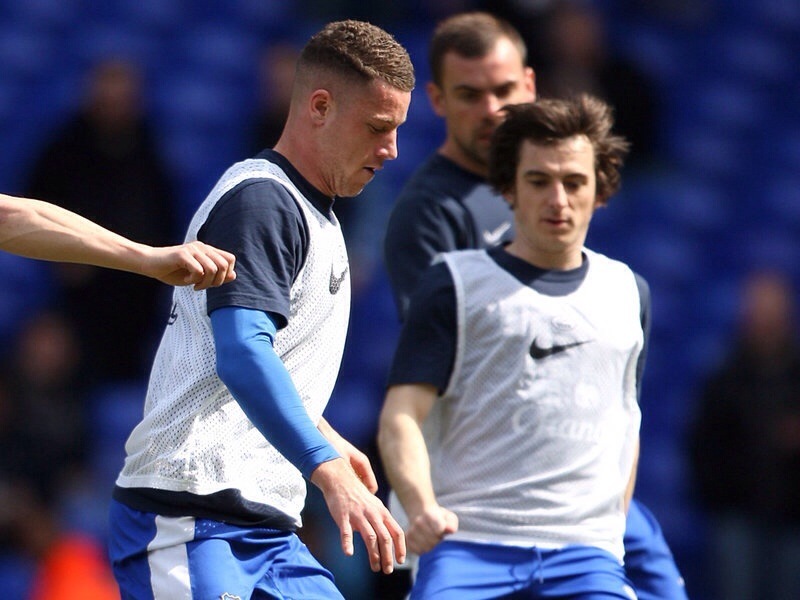 The reports based on half-truths and rumours claim that Leighton Baines is destined for Old Trafford with Ross Barkley set for a big money move to Jose Mourinho’s Chelsea. The reports come at a time when Everton are riding high in the top six of the Premier League after the Blues secured their fifth win in six matches with a hard-fought but deserved victory over Aston Villa. Roberto Martinez and his team are continuing to prove their doubters wrong, many of whom tipped the Blues for a fight at the bottom end of the table rather than the top. With Barkley now an important part of the Everton set-up, Bill Kenwright would be unlikely to sanction the sale of the young Evertonian. The rumours linking Baines with a move away for Goodison have persisted throughout the season and Manchester United’s indifferent form has done little to quieten the tabloid press. Despite Baines approaching his 29th birthday the reported £15m fee continues to massively under value the England left back. Everton do not sell cheaply and are unlikely to entertain Manchester United unless David Moyes returns with a significant offer, over and above £20m. They have been at it for years, and it has been tolerated. The fans and the club need to find a louder voice to shout down the press and public slam the dirty tactics against us. cant believe they even mentioned this “news” on Match of the Day (paper roundup) .. as if it was fact and Leighton was off.. funny as the last i heard the transfer window was shut..
why on earth would they (BBC) be allowed to broadcast such tabloid/rumour rubbish unless they are consciously trying to destabilise as mentioned.. The press seem incapable of comprehending that some players might not want to play for one of the large cash machines. That some players might understand history and tradition and an all-weather base of supporters. That for some players, the challenge of taking an underdog to the top is more rewarding than being a small cog in a club where all parts are replaceable, and there is never any real accomplishment, just avoiding failure. To the media, Everton are a mid-table team, and if we are doing well with players who are performing well, it must be time to sell, for they cannot fathom that our club has any ambition other than comfortably avoiding relegation and being a feeder for clubs with larger bank accounts. For us Toffees, we need to remain confident that those players with the right outlook, appreciation for history and passion and desire to contribute to a real accomplishment will be attracted to the club and will stay. (And I do hope Baines and Barkley are in that class.) For others who simply want a big payday,you may be on your way as soon as possible, with our best wishes, hopefully leaving a tidy profit in your wake to help the club find real Evertonians. The media have also attempted to malign Gareth Barry and James McCarthy for ‘leg breaking’ challenges when they were just ‘late’ challenges. The answer is simple. Don’t buy the newspapers. They’re full of rubbish anyway. They will always be on the side of money and the clubs who feed them. Remember the journo Alan Nixon who campaigned for Rooney to leave? He was a shareholder in Rooney’s agent company. All journos are the same!